A day at the beach isn’t the only reason to head to Coney Island. 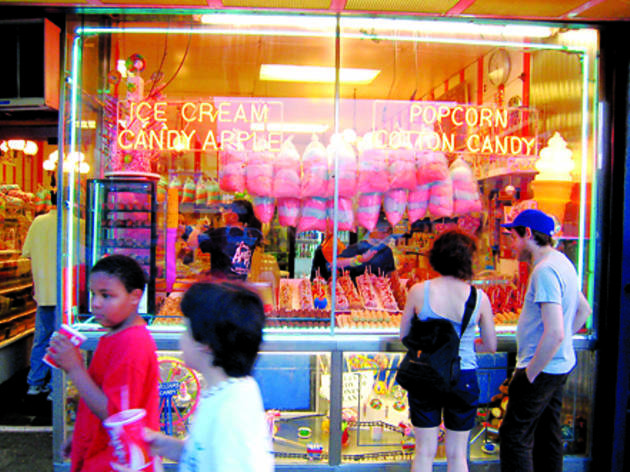 Instead of a sand pail, bring an appetite the next time you’re boardwalk-bound to indulge in the wares of Williams Candy (open year-round), the nostalgic shop next to Nathan’s. 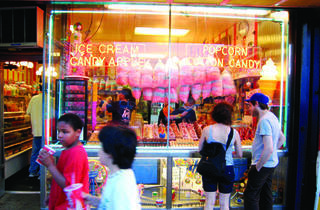 A piece of fudge or a lollipop may seem like a fitting end to a filling lunch of hot dogs and crinkle fries, but your crew will want to save room for one of Williams’s more retro-inspired specialties: shiny caramel apples coated in sprinkles, or sticks of fluffy campfire marshmallows dipped in chewy caramel and peanuts.